Cougar Headquarters is a division of the Panda Apparel Group. Panda Apparel was formed in 2007 by Scott and Donna Marino. The two share over 30 years experience in the garment industry, including manufacturing and online specialty retailing. 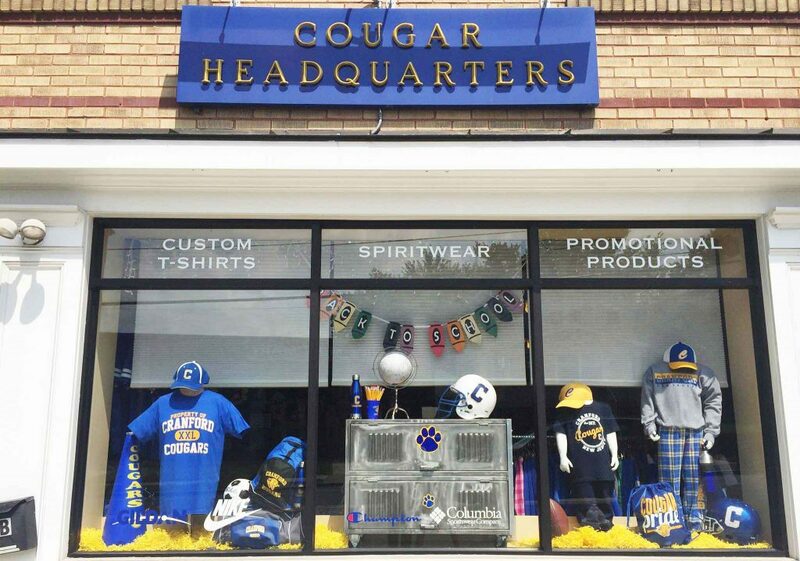 In 2011, they opened a traditional brick and mortar shop in Cranford, NJ called Cougar Headquarters. CHQ mimics a college bookstore capturing the towns amazing spirit and pride. Catering to the local community, CHQ offers town themed apparel, athletic apparel, accessories & home goods. Its specialty services include custom screen-printing, uniforms, varsity jackets, spiritwear and promotional products. In addition to CHQ, Panda Apparel operates an online apparel shop under the name Varsity Central which offers the same products and services for all towns. Panda Apparel also operates a divison of imprintable apparel called Panda Imprinting and manufactures several lines of t-shirts under the Zero Gravtiee and Neon Tees label. Visit our parent website for a full description of our shops and services. As an international business, the Panda Apparel Group is committed to improving the worldwide state of human rights and environmental degradation. Cougar Headquarters offers an experienced staff in our Cranford, NJ location. Our team offers personalized customer service. We have specialists on-site that include business development, art, and several other facets of printing and production. We are perfectly sized to handle the small order with care, yet take on that large production order too. Our fast growing company is divided into specialized divisions, each with a different product mix/focus. Specialty divisions include: online retail, manufacturing and import, custom screen printing and embroidery. The company encompasses Cougar Headquarters and Varsity Central all under The Panda Apparel Group. Our 12,500 sq/ft production facility and warehouse in Springfield, NJ is home to our corporate offices. Want to see proof? Check out our work!